HomePonding Water 101UncategorizedSummer is Here! Do you have a flat roof? If so, you may have an issue with ponding water accumulating on it, especially if you’ve had a considerable amount of rainfall lately. Unfortunately, flat roofs don’t drain as well as slanted roofs do. 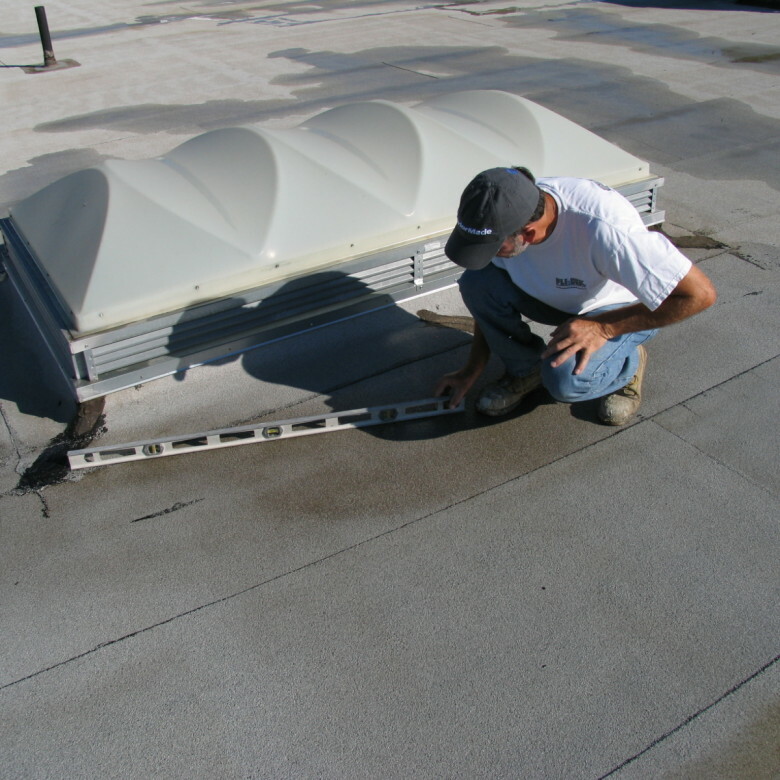 Ponding water on a flat roof is typically more of a problem during summer. 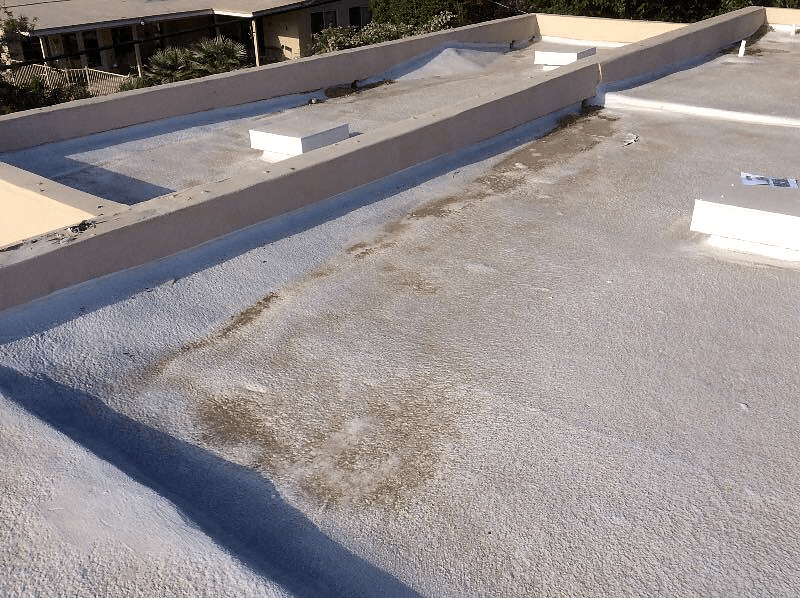 Here are some reasons why you need to eliminate ponding water on a flat roof now that summer is here, along with a few considerations and warnings. Remember, ponding water is a term that refers to water that doesn’t drain or dispel from the surface of a roof within a time period of 48 hours following precipitation. In addition to rain or melted snow, ponding water can be from other sources of water. For example, it can also originate from leaking cooler lines, pans and other sources. But ponding water generally comes from standing rain or other types of precipitation. Summer is the typically the most humid season. As a result, the combination of humid conditions and standing water can attract mosquitoes to set up housekeeping on a flat roof. An infestation of mosquitoes can lead to several problems, including health issues and fines in some states. Summer humidity can also cause algae to develop on standing roof water. 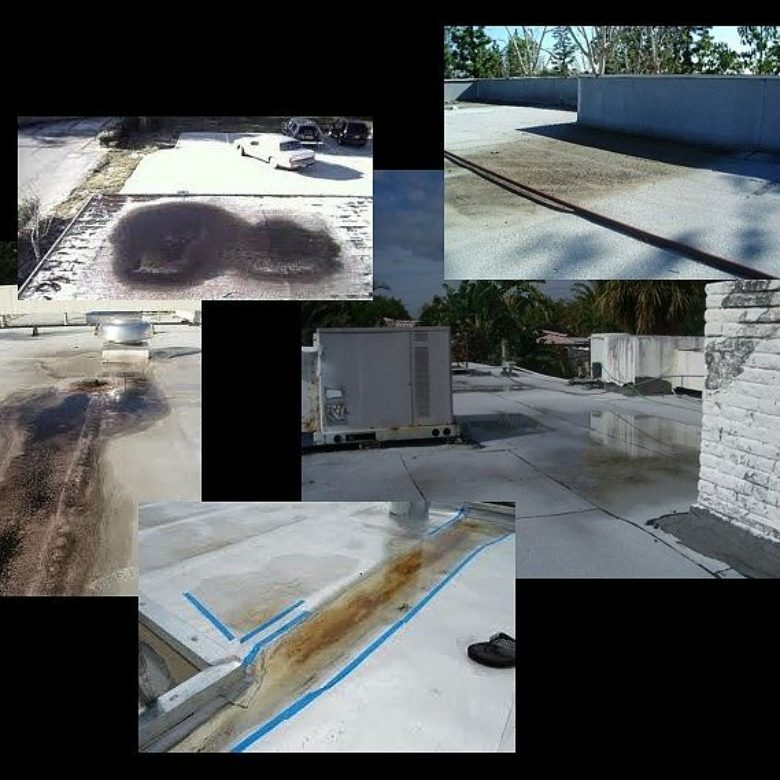 Stains from unsightly algae growing on a roof can affect the overall look of your home so that it has less resale value. Vegetation grows faster in summer ponding water. When moss and dried grasses grow quickly in hot summer weather it can create a fire hazard. Consider that it only takes one spark to start a fire. Waiting until fall can mean having to deal with fallen leaves on your roof. It can be even harder to get rid of ponding water in late fall or early winter when temperatures go below freezing, and water has turned into ice. First, look for standing water on your roof as this is the initial indication of trouble. Note any algae developing on your roof. Be leery if you see vegetation that is starting to grow on your flat roof. Examine the slope of your roof and determine if there are any ways for water to escape. Usually, this is done by openings through the parapet walls, known as scuppers, that are designed to let water drain into a downspout that runs down the outside of a home or building. Ponding water can lead to destructive leaks that can significantly damage the internal structure of a roof, such as the roofing membrane. Standing water on roofs can also cause damage to deck materials. If water leaks into your house, it can ruin your furniture, carpeting and other belongings, leaving you with huge repair bills. This problem can shorten the lifespan of your roof. As a result, this can nullify your roofing material warranty. Even if it hasn’t rained for a long time, you may not be any water on your roof. 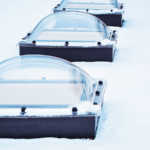 However, you can still detect a water ponding issue by noting dirty circles on a roof. Ponding water should never be ignored. 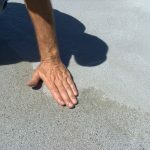 If you see ponding water on your flat roof, it’s critical to resolve the problem as soon as possible. Although there are some DIY ways to do this, you will need professional help if the standing water has already breached your roof and has begun to leak into your home, making the condition overwhelming. Resolve your issues now! Even if you think you can correct the problem, it could still be worse than what you see at first. Please contact us and learn more about how to resolve your ponding water issues now.